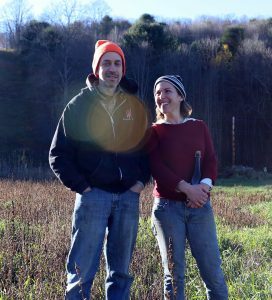 It’s incredible how much America’s craft cider renaissance owes to Lebanon, New Hampshire’s Steve Wood and Louisa Spencer, but in their uncompromising style, originality of vision in planting European varieties, and unstinting generosity in championing the category, they are truly the epicenter. 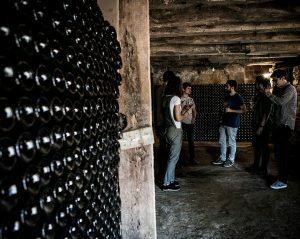 To pick a single bottling here certainly requires something bone-dry—radically dry, in Wood’s phrasing—and gently sparkling, although, interestingly, not traditional-method. (Wood believes that the autolytic character imparted by extended lees aging obscures the arresting clarity of his New-England grand cru fruit.) Behold: Extra Dry. Eve’s, now one of New York State’s classics, is a direct inheritor of the (very much living) Farnum legacy. 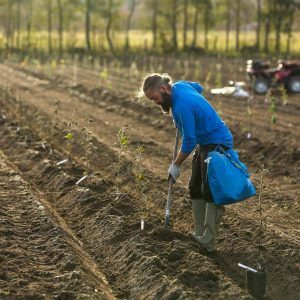 When then-nineteen-year-old founder Autumn Stoscheck paid a cold call in 2001, she left with the European bittersweet and bittersharp budwood that would form the backbone of her own estate orchard. Eve’s vision is unique and specific to its southern Finger Lakes locale, though. Traditional-method sparklers are a specialty here, and high-acid New York heirloom varieties (Northern Spy, for example) stand alongside wild-foraged fruit for a unique and complex artistic canvas. Try the ‘Autumn’s Gold’ bottling, anchored by the rich, tannic Ellis Bitter apples from their original 2002 estate planting. 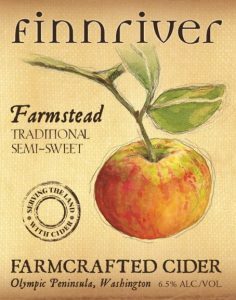 Native-yeast fermentation and judicious barrel aging complete the ‘old-world’ picture in this cider. Melissa Madden’s certified-organic, polycultural Good Life Farm in the Finger Lakes of New York counts cider as only one of its activities, but since commencing cider-making operations in 2013 they’ve risen to the top of the heap—see their recent Governor’s Cider Cup win at the 33rd New York Wine Classic for the ‘Pioneer Pippin’ bottling. 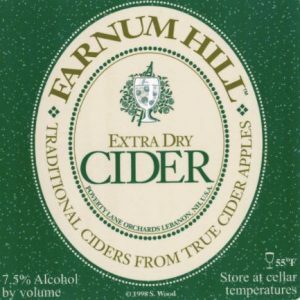 These ciders are less austere than Farnum or Eve’s, bringing a fruit-forward yet crisp and refreshing affability to the table. 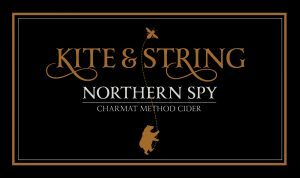 For a true New York State classic try their varietal Northern Spy bottling. Another certified-organic polycultural farm, but this one in that other great apple-producing state: Washington. 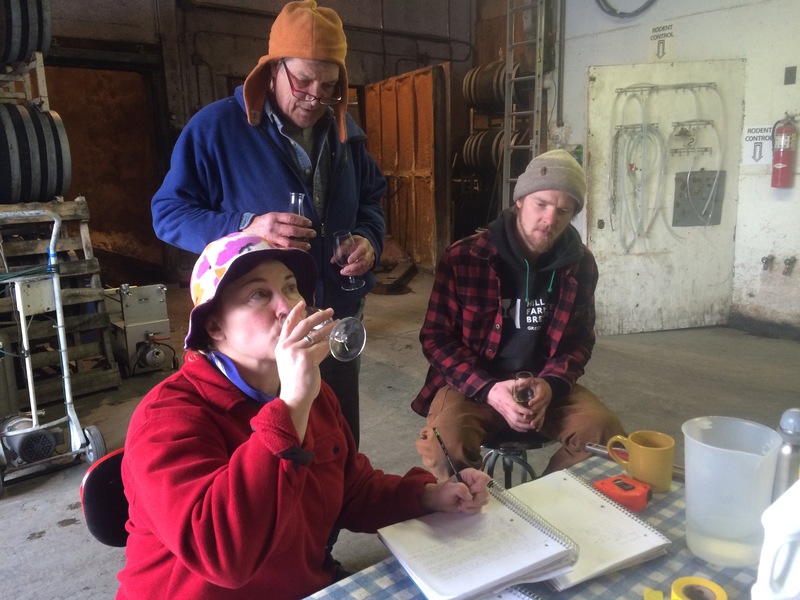 Situated in the Chimacum Valley of the Olympic Peninsula, Keith and Christie Kisler’s Finnriver Cidery, helmed by Eve’s alumnus (!) Andrew Byers, are turning out a wide range of innovative styles, but a great place to start is the Farmstead bottling, a kitchen-sink blend that incorporates dozens of varieties, some hand-picked on the farm, others brought in by friends and neighbors as a way to put their bruised, bitter, and bizarre odds and ends to delicious use. The first documentary references to the Astarbe family and their Basque Country farmhouse, Mendiola, date to 1563, making reigning cidermaker Hur Astarbe the fifteenth generation in an unbroken line. (Need more history? The two principal varieties grown here are called Astarbe and Mendiola.) Not one to look merely backward, however, Hur has pioneered the production of méthode-Champenoise sparkling cider in the area. Marrying that beloved Basque tartness (minus the bacteriological issues sometimes seen in these parts) with the creamy mousse afforded by twelve months of sur-lie aging, the Byhur bottling is innovatively delicious, as well as being a bilingual pun: it’s made by Hur, and its effervescent nature renders it a byhur, the Basque word for a child that can’t sit still. Get it? In the late 2000s, founder Andreas Sundgren heard the choirs of angels singing over a glass of revelatory liquid: Québecois ice cider. Convinced that the quality apples andharsh winters back home in Sweden might yield similar results, he began his journey in 2010. He’s perfected the recipe for mind-bending, almost Beerenauslese-like dessert ciders, but the perfect introduction to the range just might be something a little friendlier: Pernilla Perle. An homage to his wife Pernilla, this gently sparkling bottling shows a toned-down, quaffable version of the glorious sugar-acid balance seen in the dessert ciders. 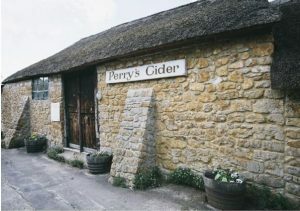 Somerset county in southwest England is home to (true) Cheddar cheese, the famous Roman town of Bath, and some of the country’s most extensive cider-apple orchards. Enter Perry’s, a fourth-generation cidery dating to 1920. Harvesting traditional varieties from their 35 acres of trees, they ferment their entire crop with indigenous yeast—an exceptional undertaking requiring minute attention to detail—before leaving the juice to settle and age for up to two years before blending. Their ‘Puffin’ bottling, which sees wood-cask maturation and bottle conditioning, is a pure hit of the wild, wooly world of English farmhouse cider. 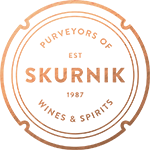 Pale gold, bubbly, radically dry. Richly aromatic, suggesting myriad fruits of the earth, and the earth itself, with a complex, palate-cleansing balance of fruit, astringency, and acid. Sugar content zero, fruit notes rampant! Made, like Semi-Dry, from a range of specific apple varieties bred and/or selected for excellent cider. 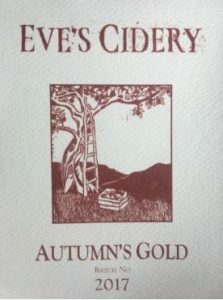 Eve’s most ‘old-world’ cider, produced from bittersweet and bittersharp European cider varieties first grafted onto their trees in 2002. These varieties require late harvesting and slow, natural fermentation to bring out their full complexity. Macerating fruit prior to pressing also increases aromatics and helps with integrating tannin. Bittersweet cider also benefits from oxygen exchange from old oak barrels. Cider made following the Méthode Champenoise, with second fermentation in bottle. It spends twelve months on the lees, resulting in a dry, balanced and full-bodied cider with fine, persistent bubbles and a long, intense finish. The name “Byhur” is a multilingual pun: the word is Basque for a child who can’t sit still, and Hur Astarbe is the name of the current cidermaker– so the ciders are made “by Hur”. Pernilla Perle is a semi-dry lightly sparkling cider where the aromas and higher alcohol level are achieved using the same concentration process of the apple juice that’s used when making ice cider. 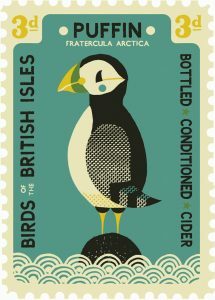 ‘Puffin’ bottle-conditioned dry cider is produced as simply and naturally as possible using wild yeast. The cider is left to mature in wood for months before final conditioning in bottle, resulting in a full-bodied sparkling cider with sediment.